Kangeiko January 21 – 25, 2019 – Special winter training. See Announcement for further info. 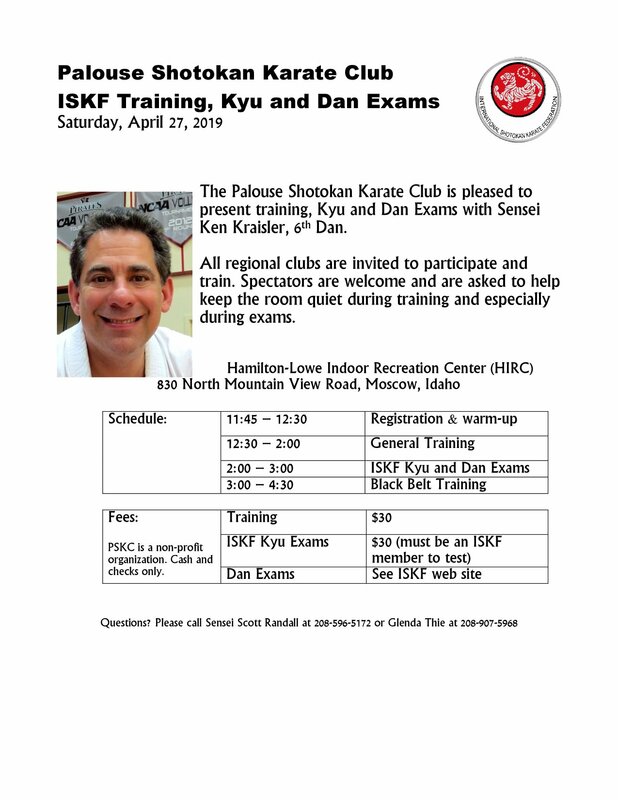 April 6 - 9, 2019 Clinic and grading, Clinic with Sensei Green from ISKF Mountain States. Please see Announcements for further info. April 27th, 2019 Palouse Shotokan Karate Club ISKF training and grading with Sensei Kraisler - Moscow, Idaho. June 7 – 14, 2019 – 53rd Annual ISKF Master Camp & Intl. Goodwill Tournament @ Camp Green Lane, PA.